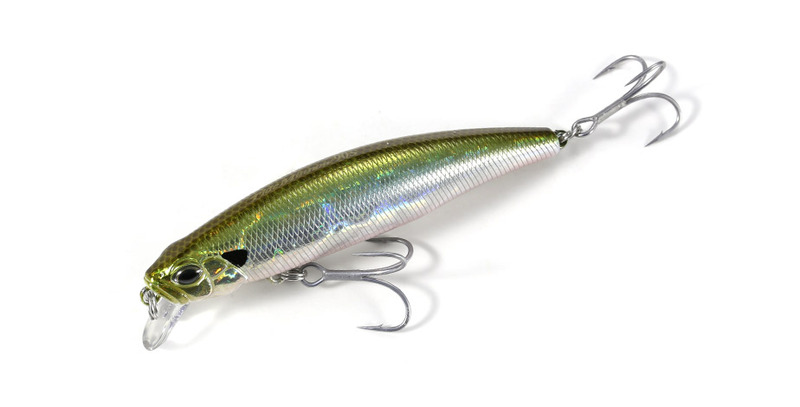 By fitting two tungsten spheres and a fixed weight in a 90mm body, the Tide-Minnow 90S has far greater casting capabilities than one would expect for its body size. This lure is ideal for demanding situations that call for downsizing the lure without sacrificing its casting distance. 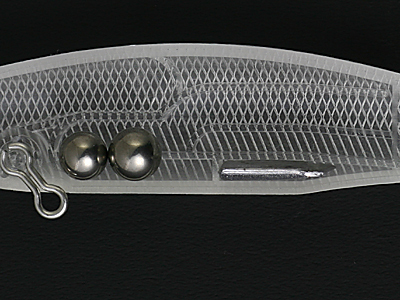 This lure employs the ‘power-weight system’: a fixed weight in the belly combined with two moving 6.0mm and 6.5mm tungsten spheres. This is the same weight system as the 140 Flyer.